This is a driver for control of the Hayward Aqualogic PS and ProLogic PS4,PS8, PS16 Pool Controllers to work with RTI XP processors. It has some extra features such as integers for Air, Pool and Spa Temperatures as well as Variable Speed Pump Speed. Events are available for Pool On, Pool Off, Spa On and Spa Off. 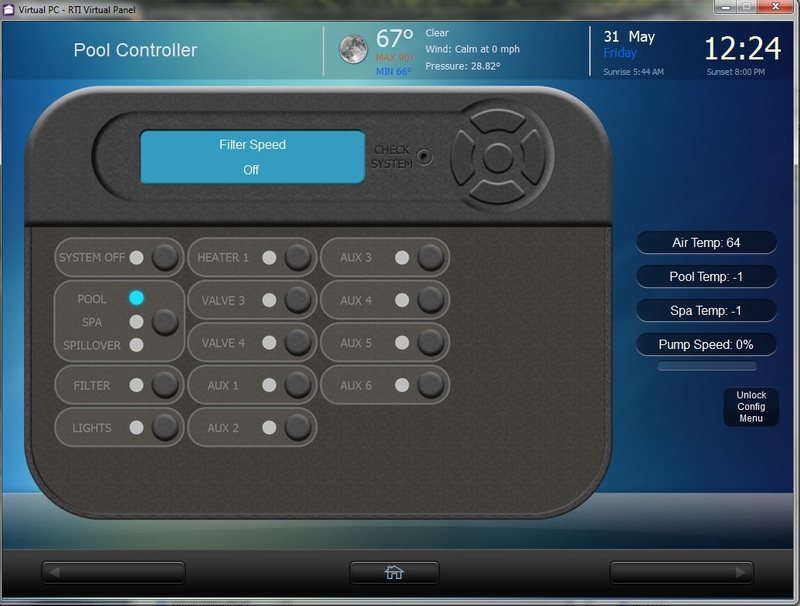 This driver gives you everything you need to emulate a AquaLogic keypad right on an RTI remote or in the RTiPanel App.